My latest book is Black Mountain, which will be published by Harlequin Escape on April 1st, 2016. It is about Elly Cooper a young woman who is looking forward to a weekend away in Brisbane with friends – including Jackson Lee, who she thinks may become more than just a friend during the trip. But when he doesn’t turn up, and keeps sending text messages with excuses, she doesn’t know what to believe. Then he goes missing – along with an important journal that contains her dead father’s life-long work, with details of how to make a beauty product he described as the fountain of youth, potentially worth millions. The catch is that the main ingredient is a rare plant found only in the Daintree Rainforest in Queensland. And only her father knew where to find it. 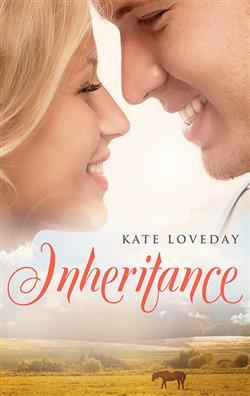 Elly enlists the aid of handsome ex-policeman Mitchell Beaumont to help her find Jackson, the journal, and the plant. But someone else now has the journal and is on the trail of the precious plant. It is a race against time to see who can find it first, and it seems as if whoever else is searching, they will stop short of nothing – even murder. And as Elly and Mitchell search together, will their friendship develop into something more? A few years ago my husband and I were caravanning and spent much time in Far North Queensland. I fell in love with the area – the beautiful Daintree rain forest, the spectacular Great Barrier Reef and the general tropical ambience. It inspired my first novel, ‘Inheritance’. But it was just south of Cooktown that we came across Black Mountain. This is a huge black mountain composed of volcanic rock, riddled with tunnels and chasms, and surrounded by huge boulders of the material. It is a very spooky place and the subject of many tales of people venturing into it and never being seen again. I decided then that I must weave a story around it one day, and ‘Black Mountain’ is that story. Little Big Lies by Liane Moriarty. A romance story is a little slice of life that lets you join someone else on their journey to find love and happiness, to share their disappointments when all seems lost, and their happiness when it all ends Happily Ever After . Finishing If the shoe fits, and overcoming a serious health problem. When Cassie Taylor inherits Yallandoo, a cattle station near Cairns in Far North Queensland, she is shocked. What does she know about running cattle? But the property has been in her family for generations, and Cassie is not a quitter. She leaves behind her Sydney life and heads to the station, determined to make a go of it.